It’s been nine months since we decided to separate and he moved out. Nine months of my trying to figure out who I am when I’m not in this family structure I worked so hard to cultivate. Nine months of therapy dealing with my maladaptive handling of multiple tragic and traumatic events in my life. Nine months of nearly daily tears and anger and hurt that I thought I would never rise from. I am not healed. There is no finish line, but yesterday morning I took a walk and didn’t feel a lacking. This is a hard sensation to explain to someone who has never experienced it, but I have been walking around with a hole. Like an unsalted pot of soup I was bland, sad and definitely ‘missing something.’ This was my lack. I’d felt that lack since he moved out. A hollow spot in the shape of my husband that had held all of my dreams for our family, my sense of security and safety. It held images of us as an old couple, holding hands in dr’s offices and helping each other cross streets. It held too much perhaps. Over the months I felt the lack constantly, painfully. I explored the edges and pushed at it, like one does with any wound, fascinated by my ability to hurt so much and still be alive. In awe at my capacity for suffering. Yesterday, I took a morning walk with the dog and I felt the lack of my lack .. or, to be more accurate, the hole didn’t feel like a lacking – it was just a hole, and it was ok. There is still pain and the sense of lack will undoubtedly return periodically, like lice in a preschool, but it will no longer be a constant. This seems like a sad excuse for progress, but progress it is. 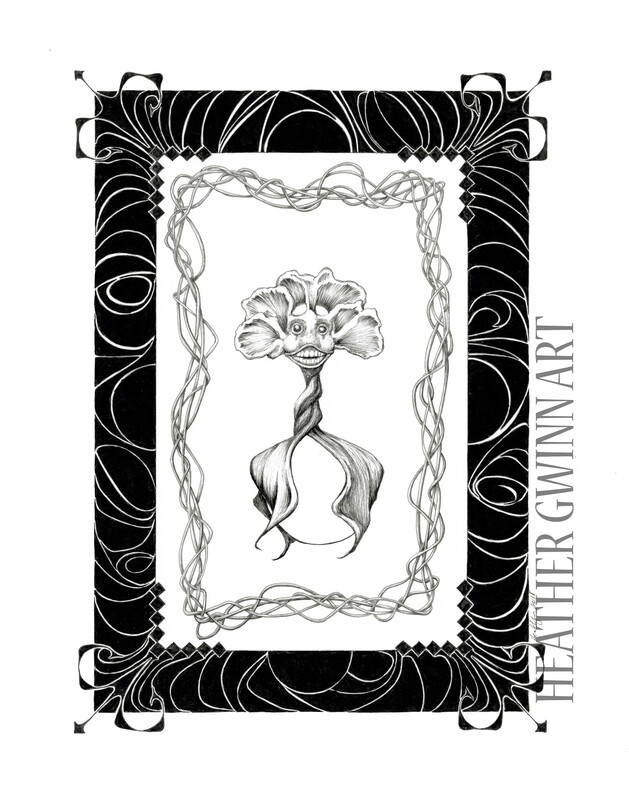 Heather , I just discovered your art (love it) and now discovering that you share the hard parts of life. You are brave and an inspiration. I’ve been divorced twice and it feels JUST like you said, like there is a hole where the person used to stand. Hang in there, you are showing your toughness! Lots of hugs for you <3 <3 You will get through this.